This is the season of moves for residents, and what better than a company specialized in this area to help you on the “D” day ? Since we have been established for several years, we have a lot of experience for any type of move or related activity. In addition, we offer unparalleled service. Thanks to our many years of experience, we can offer you our turnkey residential or commercial moving services, regardless of the size of the dwelling or residence to be emptied and relocated. Whether it is only for the greater Montreal area or for moving to another region or even another province, we have an efficient service that meets your needs. We also have the equipment and knowledge to make the move of your biggest furniture, but also the most fragile, like a piano or a pool table. 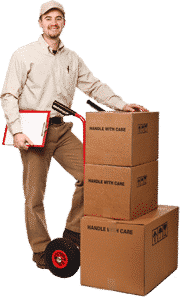 With our packaging service, we also take great care of the computer equipment and other goods requiring a lot of care entrusted to us, especially during a relocation commercial.u turnkey commercial, regardless of the size of housing or the residence to be emptied and relocated. Whether it is only for the greater Montreal area or for moving to another region or even another province, we have an efficient service that meets your needs. In addition to all this, we can also offer various related services for your move. For example, we can provide materials such as boxes of various sizes, covers and wrapping paper, as well as valuable tips for getting ready. We are able to assemble your furniture or store your belongings as needed. In addition, we take care of the logistics of the event. Our mission is to offer you a stress free move, meeting your needs in the most appropriate way possible. That’s why we are so well organized when we arrive at your departure point, until we leave your new location. And that’s not to mention our courteous service. Finally, we offer very competitive prices for your residential move, as well as a quick and free estimate. For more information on our services and prices, please do not hesitate to contact us. Located in the heart of Montreal, we serve customers in Montreal, Montreal East and Montreal West-Island.